Mistaken case in the OMEGA package One of our dealer mixed Reform case in to OMEGA package by mistaken. It will cause the Lite size case can not be assembled properly. If your Lite size upper case looks like the upper one in the picture below. 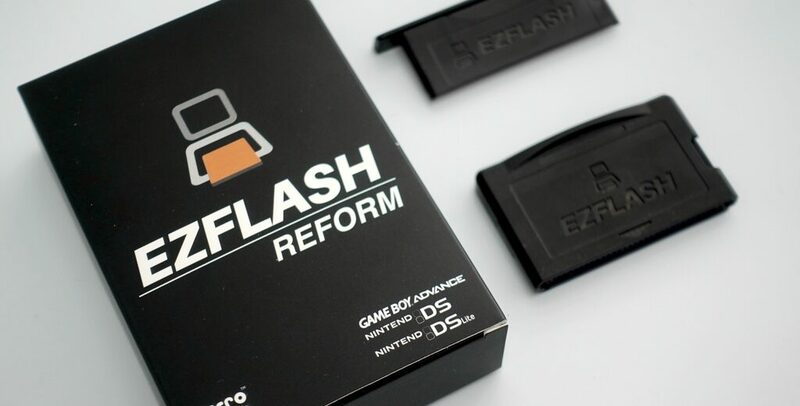 Please contact your dealer for a correct replac ..
EZ-FLASH OMEGA announced We are pleased to announce the EZ-FLASH OMEGA, the most powerful GBA flashcart ever in the world. Why OMEGA? Almost 16 years ago, EZTEAM created the first flashcart for GBA. As the quote from Revelation 22:13 says, we are the pioneer of the GBA flashcart e ..
EZ4Kernel 2.04 released Added the support for EZ-FLASH REFORM, EZ-FLASH IV users are free to choose updating or staying v2.03. jump to DOWNLOAD ..
EZ-FLASH Reform announced After the launch of powerful EZ4Kernel V2 series, EZTEAM released the successor of EZ-FLASH IV, we named it EZ-FLASH Reform. We’ve put huge effort on reducing the PCB size significantly. With the spare case in the box, you can easily change the card ..
EZ-FLASH IV kernel 2.03 released We added GSS switch and individual game GSS switch in KEYSET.CFG, modify the file with your necessary. jump to download ..
EZ-FLASH IV Kernel 2.02 released We added GLOBAL SOFTRESET AND SLEEP(GSS) patch and customized hotkey configuration file. default softreset key combination is “L + UP + B”, default sleep key combination is “L + R + START”, default wake up key combination is “ ..